In any big city race, there’s a “loop” of sorts that we’re expected to traverse, which gives us the illusion that we’re sightseeing but with an elevated heart rate. Or we can trick ourselves into thinking we’re participating in an extreme scavenger hunt. But when you’re driving the very course you’re expected to run, it can feel a little defeating. It’s so remarkably easy to sit on a school bus for about thirty minutes. But knowing that returning on your own two feet will leave you ragged and gasping for air can feel like a kick in the gut. If we’re expected to run over five miles, then why did god invent cars? 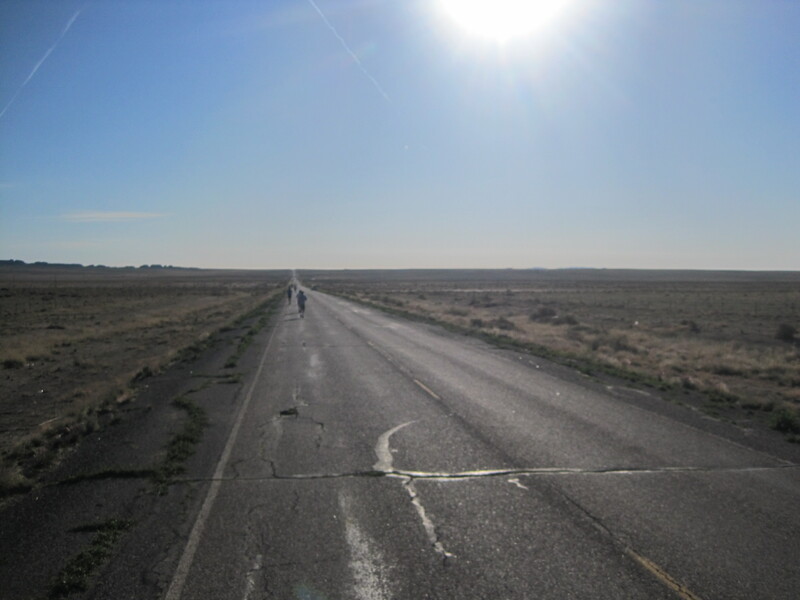 But there I was, just a rattlesnake strike away from the Arizonan border, staring straight into the sun as it rose above the 2014 Shiprock Marathon. 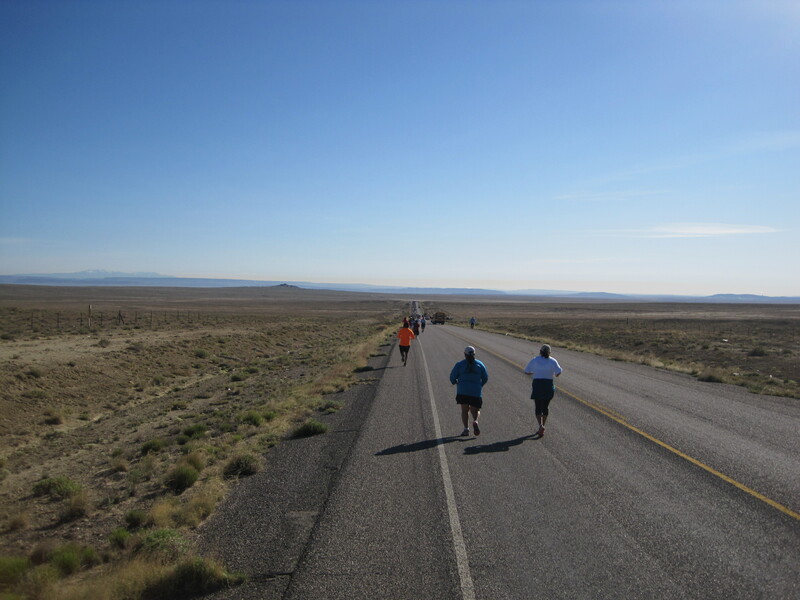 A crowd of two or three hundred other runners were shuffling excitedly for the race, every one of them grateful for the lack of sandstorms that had besieged New Mexico all week. A cloudless sky had welcomed us, along with a slight breeze from the northeast that got me well acquainted with the bone dry air of the high desert. 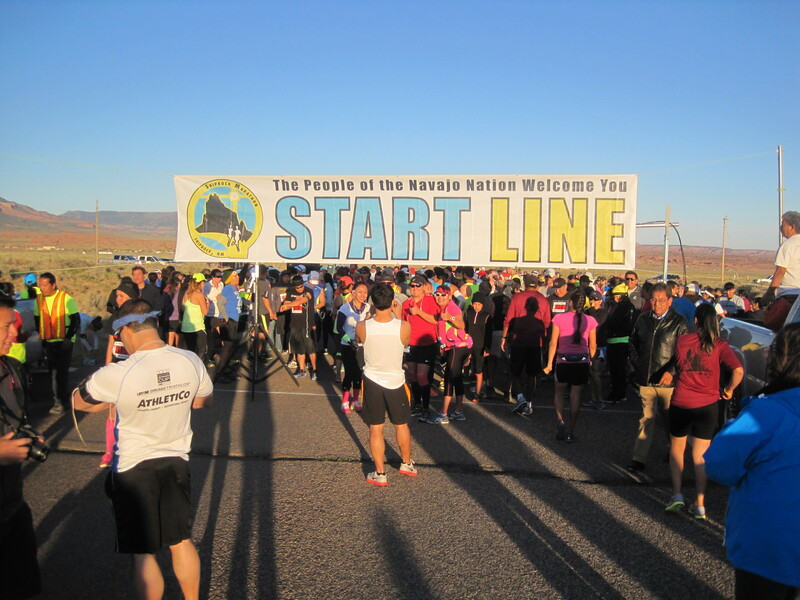 The non-profit NavajoYES organized the race, now in its thirty-first year. Instead of the national anthem, we were treated to a flag song, performed by a local drum group. 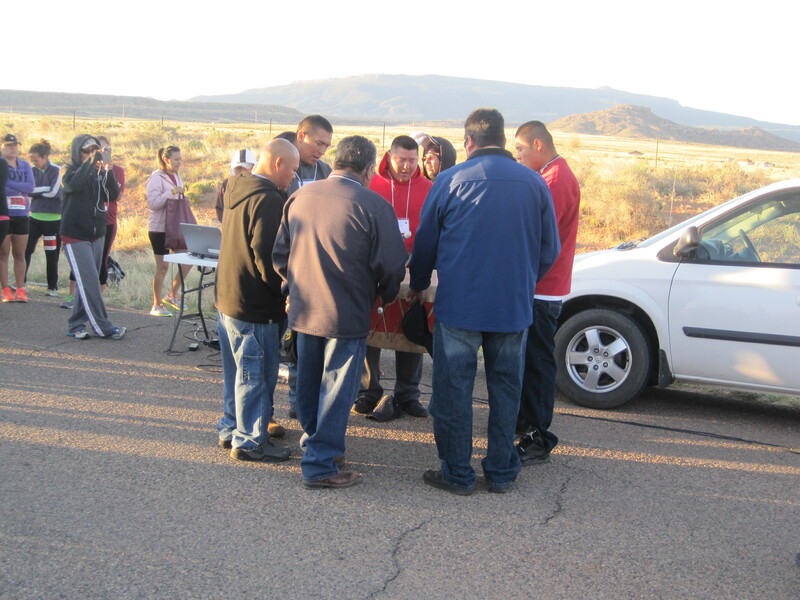 Six men huddled around a large rawhide drum and began chanting to a tribal rhythm, their voices echoing harmoniously. The announcer rattled off a list of states near and far to a few hoots and hollers from the crowd, far from the louder calls he received when he began listing the different Native American tribes participating. 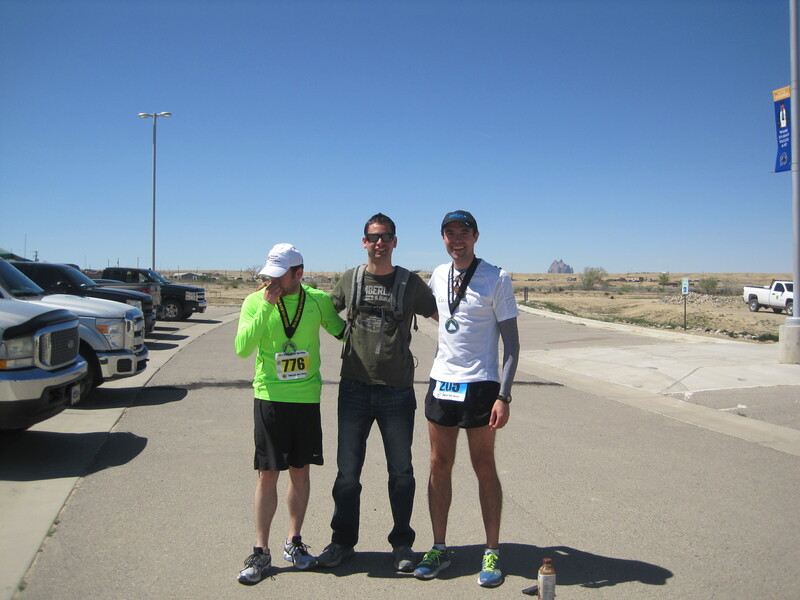 I started the race with a Canadian teacher and Marathon Maniac named Marc, whom I met on the flight to Albuquerque the day before. Affectionately known as “Mr. 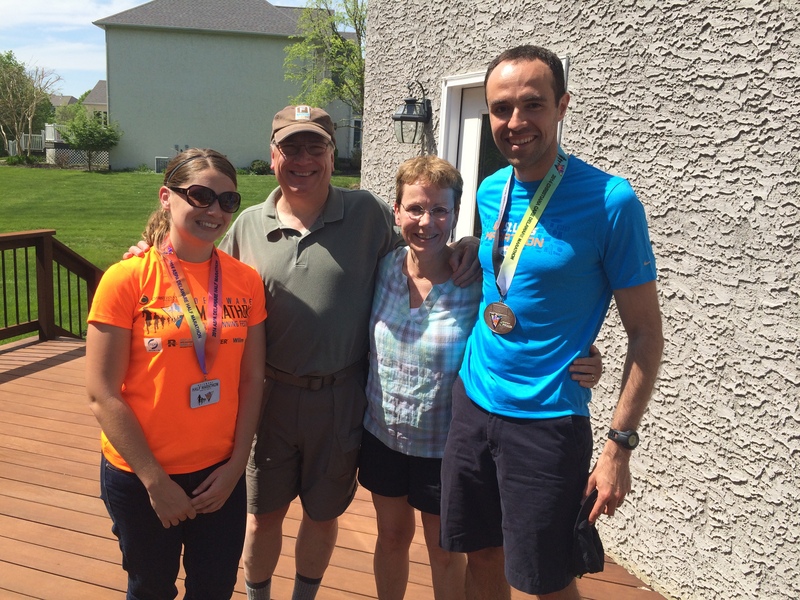 T” by his students, he was on the final stretch of his 50-states marathon quest, which will end in June with Grandma’s. The first two miles were a gentle uphill, which we ran modestly, as if paying respect to the distance before sparring with it. I could feel the thinness of the air in my nostrils, a familiar sensation from my trips to Colorado. I was unsure how the race would play out at this point, but I was increasingly thinking it would be a slow day. The start is a gentle, yet consistent uphill. Once past the starting line, the race was quiet. The only sounds came from labored breathing, feet upon the pavement and occasional chit-chat. In that opening mile, an older runner plugged a nostril and sneezed out a thin mist, as if evaporation were irresistible in the high desert even to snot. The first five kilometers were mostly uphill, culminating at 6,103 feet, the race’s highest point. I still felt completely dry, having used these opening miles to warm up and get acquainted with the air. But once at the top, it was time to scream downhill, with no time to issue apologies to everyone who got fleeting glimpses of my soles. The road pulled me downward, each foot behaving on its own, spinning relentlessly at a pace I reserve for much shorter races. One by one I sped past runners, wondering if I would see them later, heaving by the roadside, cursing my naïve exuberance. But I couldn’t help it. I was feeling powerful and confident. I had not forgotten that the marathon has taught me time and time again one of its harshest lessons: reel it in at the beginning and save that boiling energy for the end. Most of the race looked like this. But with downhills, all bets are off. I can’t help but banish the worrisome auditors that run pace calculations in my ear every two minutes. That voice that tells me to take it easy and play it safe becomes too faint over the roaring flood of adrenaline. I am all but forced to embrace the runner’s id, the childlike freedom to run forever, unencumbered by the silly notion of conservation. In times like these, I just want to fly. During this flight, I could see for miles. The road shot out ahead of us, thinning until it became a gossamer thread that spilled over the horizon. There was nothing to distract us from forward movement, which given the endless desert ahead, seemed like a joke. It sometimes felt like running on a giant treadmill and we weren’t going anywhere. Nothing changed except the people around me. But I loved every second of it. This was an exercise in running, pure and simple. If you didn’t like the activity itself, free from the polished sheen of flashy races, this wasn’t your event. There were no changes in scenery to draw your attention away from the punishing distance, no turns to hide the many miles to come, and no monuments to admire as we crossed them off … with one very impressive exception. 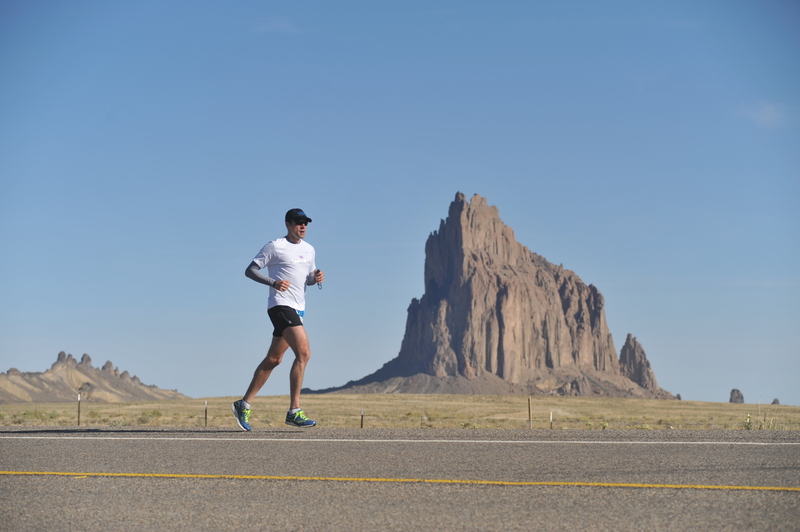 The race itself is named after a giant rock formation that juts out of northwest New Mexico like a castle. Where many mountains in the area are either rounded out or completely flat, Shiprock rises like a cluster of sharp spires. Its silhouette against the morning sun gives it the appearance of a villainous lair built thousands of years ago by a civilization forgotten by time. Given how haunting it looks, standing alone in the middle of a flat expanse, it didn’t surprise me to learn that it holds a very special place in the customs and folklore of the Navajo. For most of the race, Shiprock kept gaze over us. No matter how many miles we would run, it was always off in the distance, permanent, unfeeling. I reached the halfway mark, where about fifteen minutes earlier, the half marathoners had begun their own journey to the finish line. 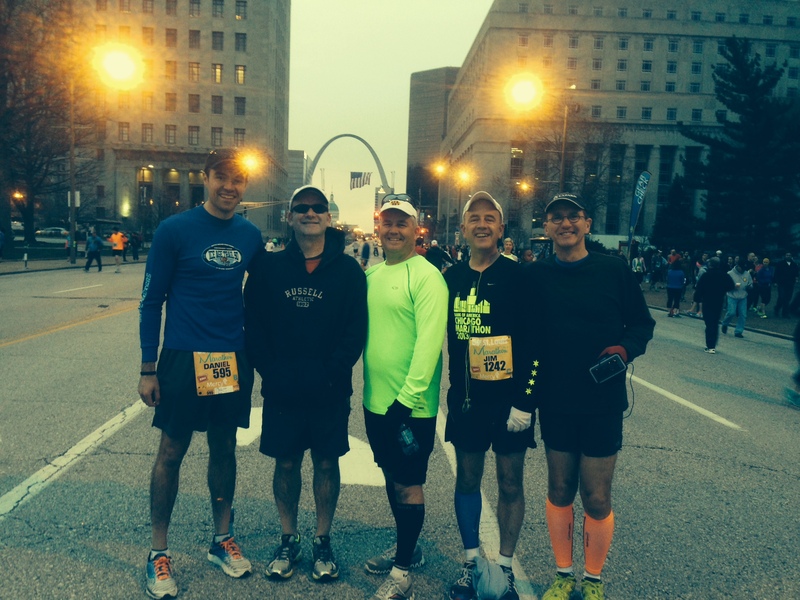 Ryan was part of that pack, running his first ever half marathon. I was hoping that he would enjoy it, especially since this race would challenge him in many unique ways that he couldn’t anticipate during training. I kept hammering out the miles, invigorated by every downhill. It wasn’t long before I felt like I was running alone. With every mile marker, the trappings of the organized race disappeared, leaving the runner bare to run, pure and simple. I started noticing that uphills were somehow capitulating to my momentum. I was breathing easily, my teeth weren’t clenching and I had no curses to spit into the air. 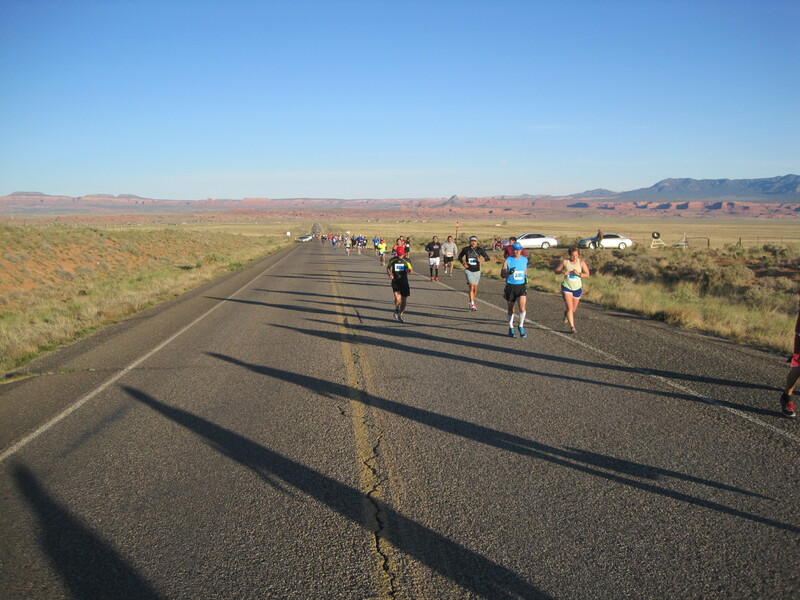 As I approached the back of the half marathoners, my heat-seeking straight line path became a bit more serpentine and it felt, once again, like a race. Now with a crowd of people, I kept the relentless progress through the unchanging world. The desert remained ahead, infinitely revealing, with no end in sight. Every few miles I would sneak a glance at my watch and realize how close I was to running a PR pace. What is happening? I asked myself. How is this pace possible? Is the downhill enough to overcome the thin air? Is 5,500 feet even considered altitude? How is it not even warm yet? And yet, despite the confident pace and joyous stroll through the ancient plains, not all was well. Right at mile 19, I felt an awkward shift in my right foot, as if all the skin on the outside had separated from my flesh. I hadn’t developed a serious blister in a long time, but I felt that streak end in one chilling step. Downhill running is a double-edged sword, and after wielding it with gusto for two-thirds of the race, I was beginning to notice the cuts on my skin. A mile later, we made the first turn of the entire race. The dedicated two-lane road we had been navigating for the last 20 miles stopped when it reached 491. 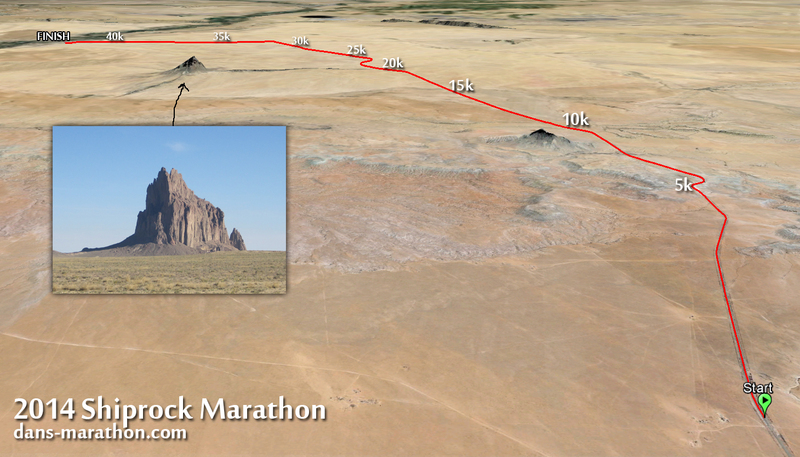 We would run north for the last six miles, heading toward the town of Shiprock. Up ahead I spotted a runner with a bright, neon tech shirt and a white hat. I caught up to him and confirmed that it was Ryan, looking strong and smiling. But I couldn’t say the same for myself. The altitude and hard effort had taken their toll and my body had started to rebel. Miles 22 through 24 were almost completely flat, which meant that I had to run harder to keep the same pace. Right on cue, my calves began to falter, and every step sent a buzzing current into my legs as if the road were suddenly electrified. Each one was closer to delivering an unwanted and untimely cramp, so I had to stop and walk, the ghost of my PR floating toward the finish line. The rest of the race was the familiar pattern of grunt and breathe. 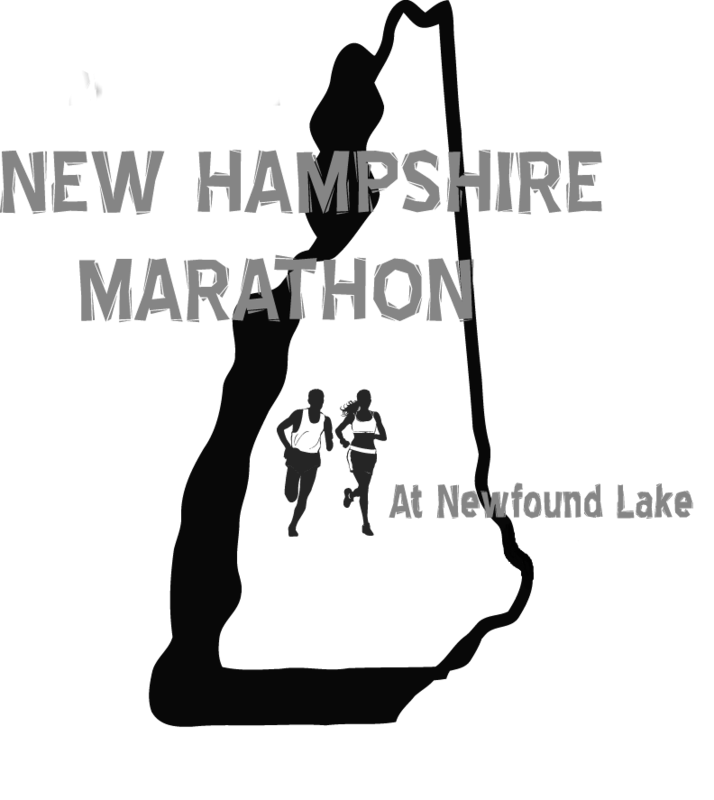 I would run as fast as I could to the next aid station, drink and douse myself in water, and continue to the next one. It was finally starting to feel warm and the cold water absorbing in my tech shirt was heavenly. Though it was no longer muscular and dominant, the engine was still working and I kept a strong pace through those last miles. We returned to Shiprock High School, where the buses had boarded four hours earlier. 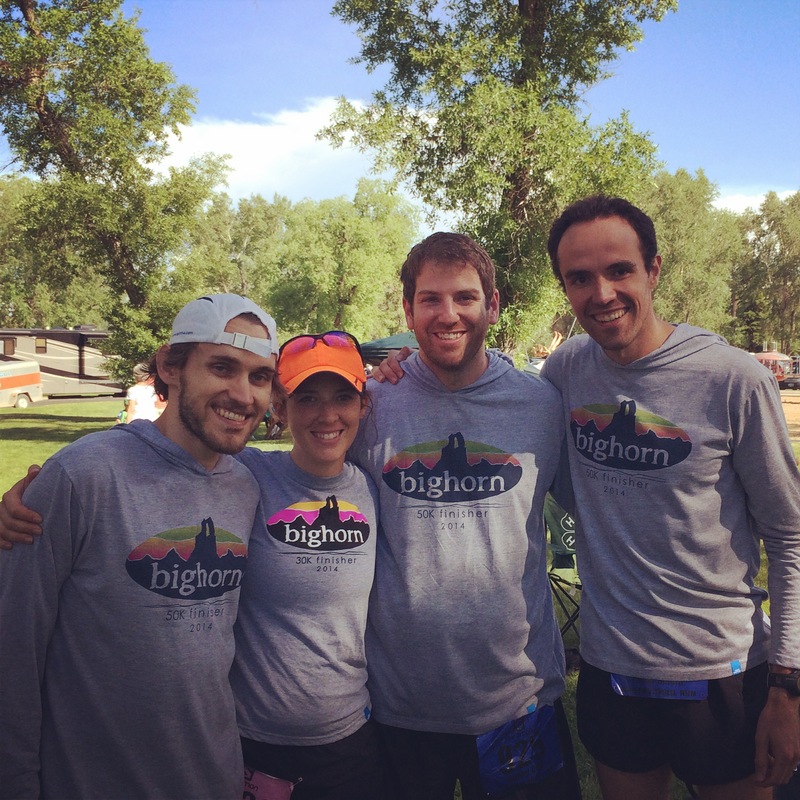 We left the road and entered a dry, dirt field, just a zig and a zag away from the cheers of the finish line. It was the first crowd of spectators we had seen all day and they were generous with their support. 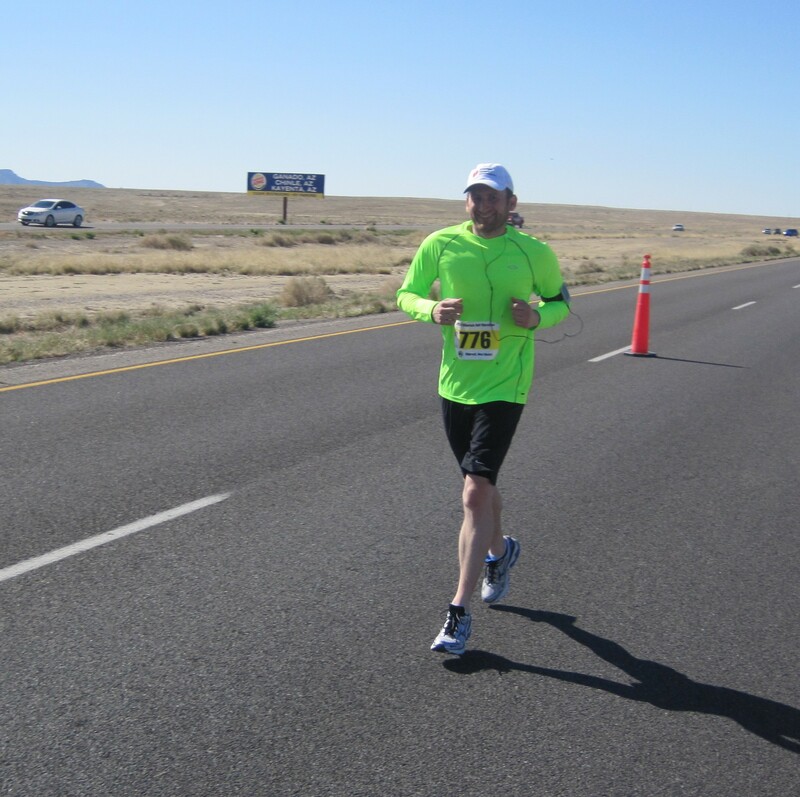 I passed under the timing sensors and stopped my watch at 3 hours, 28 minutes, having finished my twenty-second marathon in the sacred grounds of the Navajo. Never would have guessed that time, I thought, clenching a proud fist. Ryan finished just a few minutes behind me, ending his first half marathon just shy of two hours. When I first saw him, he mentioned something like “every part of me wants to die right now,” but his smile betrayed the morbid sentiment. 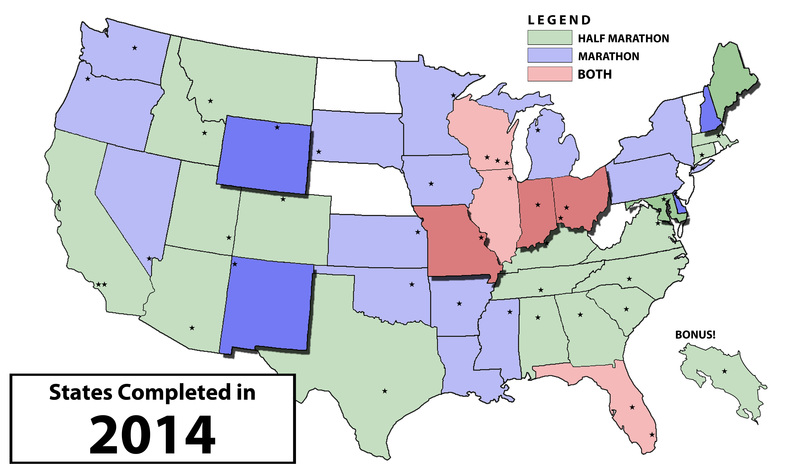 Most people aim for a local, flat race to test out their mettle. 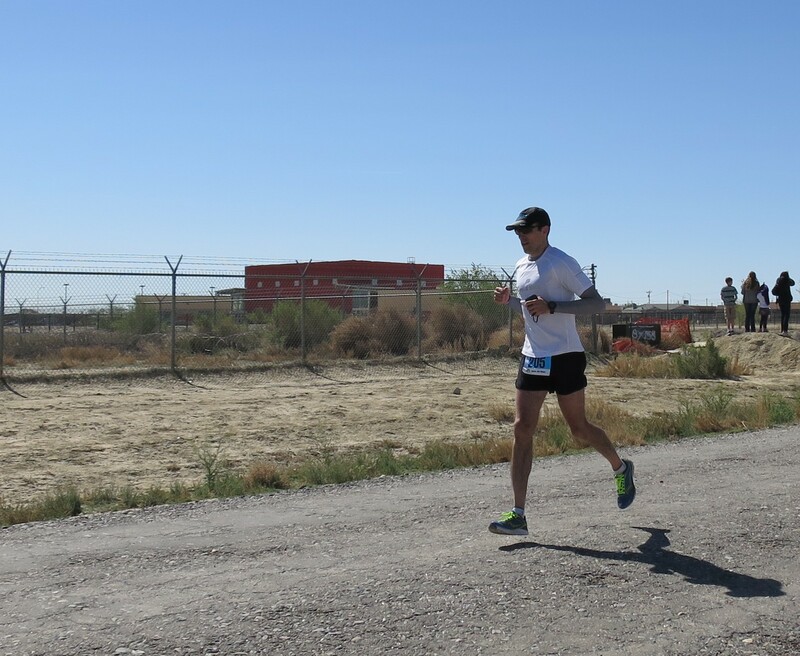 But circumstances made it so he would face the distance at altitude, on a downhill course in the middle of the desert with skin-flaking dry air. 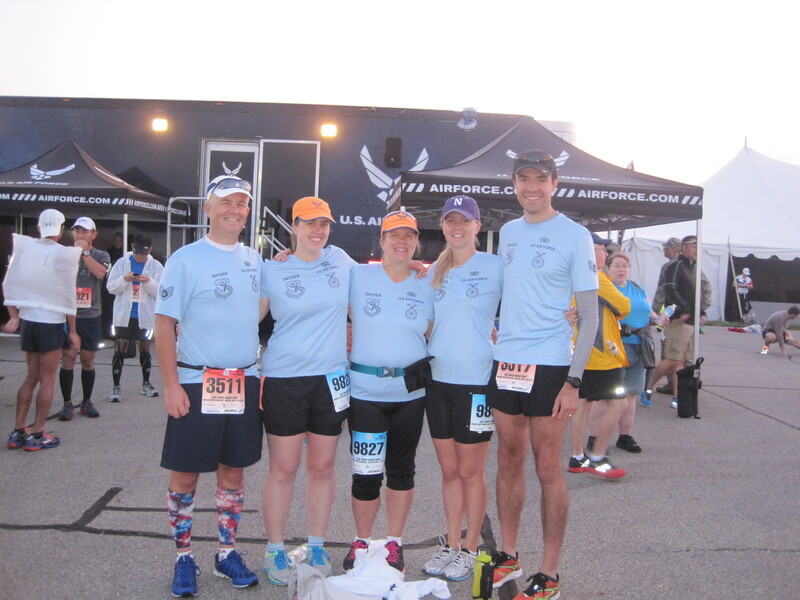 (left to right) Ryan’s sinuses acting up, Tom, me, Shiprock … and this picture makes it painfully apparent how short my shorts are. All things considered, it was a great day for both of us. That is, until we spent the remainder of the day trying to get out of the bottlenecked parking lot. 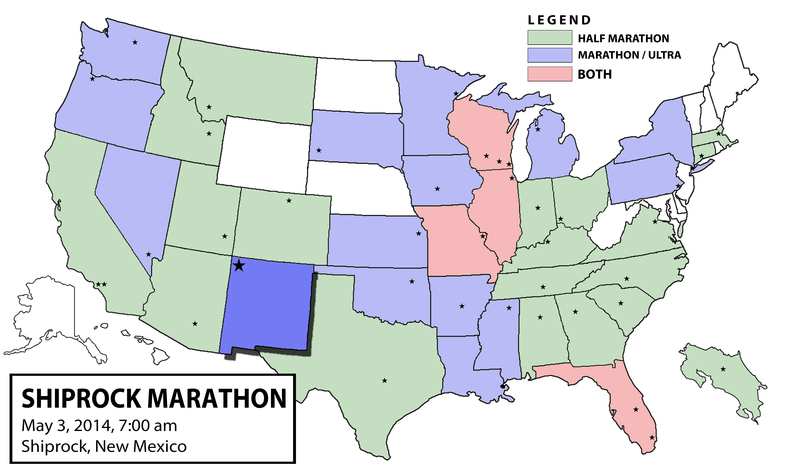 The organizers may have done a great job with everything else, but if you’re thinking of running the Shiprock Marathon in 2015, make sure they’ve addressed the post-race parking exodus, because it felt like being in the music video for “Everybody Hurts” but with legs on the verge of seizure. 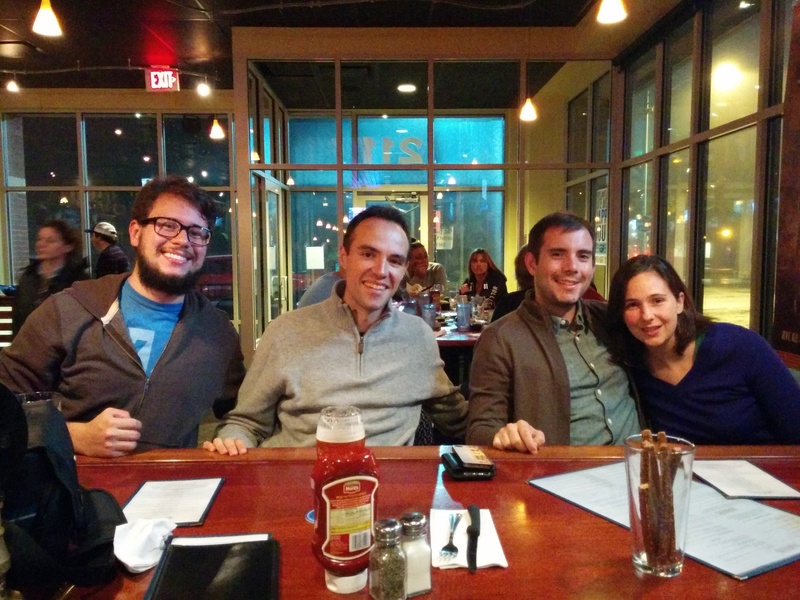 Once back in Albuquerque, we got together with Amy and Aaron of Lavender Parking Running Fame at Il Vicino Brewing Company. 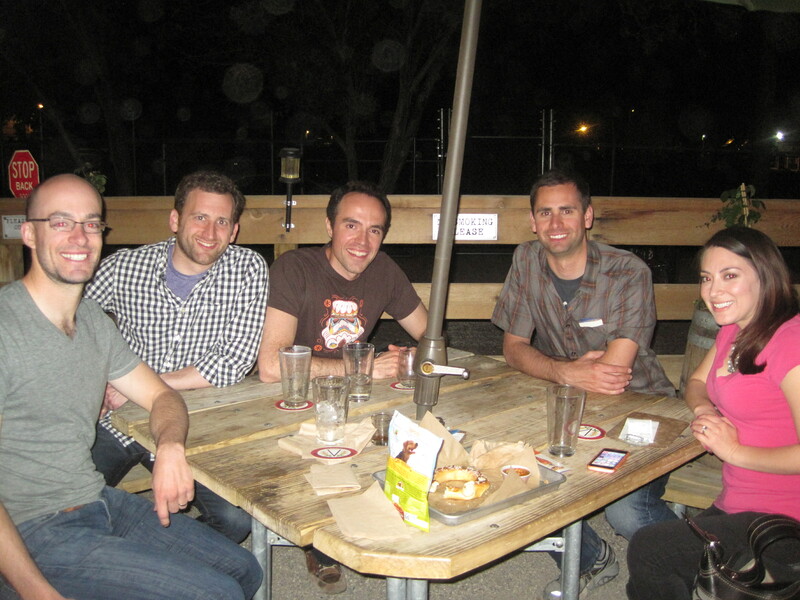 We shared dinner and a few drinks with them and our college friend Tom, who graciously hosted us for the weekend, before moving to La Cumbre Brewing Company. Much to my delight they had also brought Giuseppe, their snow-white Westie, who often makes cameos in her race stories. During the course of the evening, I learned that they had hired the same photographer who worked my wedding, and that Aaron’s parents live two houses down from Tom. 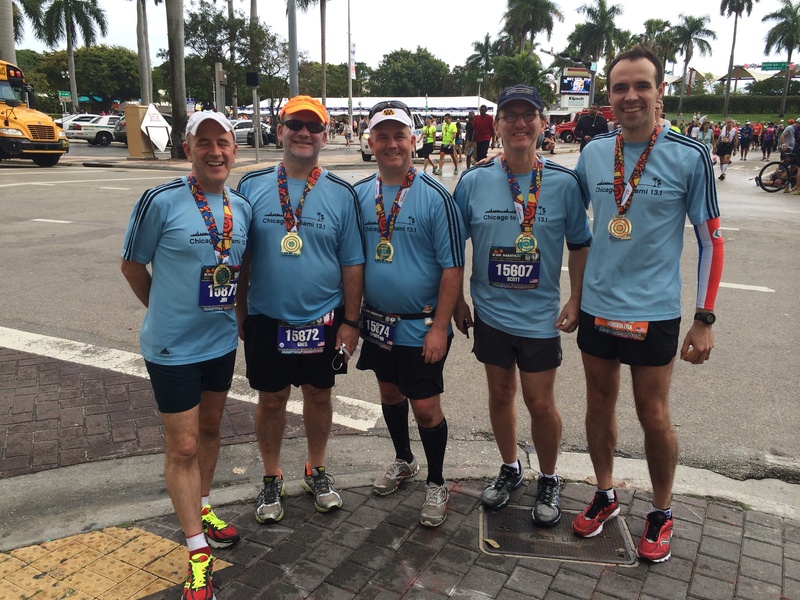 But more importantly, I learned that there’s something special about running bloggers. Whatever chemical reaction that causes people to run and write about it also produces the most welcoming and caring people. It’s an infinitely complicated route that has led me to this sport, but if I continue meeting such wonderful people, then I will gladly tread that same path for many years to come. As midnight approached, the day had already caught up to us. We had gotten up at 4 AM, throttled our legs, dehydrated ourselves and sat in a car blaring 90’s hits for three hours. We said our goodbyes and drove back to Tom’s where we all fell instantly asleep. At the moment, I am doing whatever it takes to make sure this massive blister heals before the 39.3 race miles I’ve committed to running this weekend. If the hot and humid forecast holds up, then I’m staring down another intense challenge.